Create a new Filter, I titled mine "Lockscreen - Windows XP"
Query: select * from Win32_OperatingSystem where (Version like "5.1%") and ProductType="1"
Create and Link a GPO to the OU Where the workstations reside.I called mine Lockscreen - Windows XP so that as you create them for the other OS's it's easy to know which is which. Destination: Local location. I tend to put everything for the company in c:\COMPANY. In this case I also made the filename Lockscreen.bmp so that it is always overwritten as it's changed thus not filling up the HD. In order to apply the the LockScreen you need to add a registry setting. 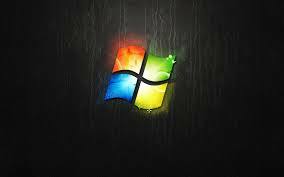 Create a new Filter, I titled mine "Lockscreen - Windows 7"
Query: select * from Win32_OperatingSystem where (Version like "6.1%") and ProductType="1"
Destination:c:\windows\system32\oobe\Info\Backgrounds\backgroundDefault.jpg The path is critical here in Windows 7. It has to be the above location and the file name has to be as stated. Now we have to enable the "OEM Background" by creating a registry item under WIndows Settings. Create and Link a GPO to the OU Where the workstations reside.I called mine Lockscreen - Windows 8 so that as you create them for the other OS's it's easy to know which is which. Source: the Network or Accessible location for the original PNG File. Destination: Local location. I tend to put everything for the company in c:\COMPANY. In this case I also made the filename Lockscreen.PNG so that it is always overwritten as it's changed thus not filling up the HD. Personally I also chose to enable "prevent Changing Lock Screen Image as well. This stops the end user from also switching it. Select Force a specific background and accent color. You can use HEX codes to set a matching color. Secondly I sent to Force a specific Start Background. Either pick the same matching color, or chose 20 for transparent so it uses the desktop.